I am so happy it’s Thursday, because that means tomorrow is Friday and I am one step closer to the weekend. I look forward to my weekend that I know I will be spending in the kitchen! I have some more exciting news. I am going to be contributing to a new blog called My Cooking Spot! Erin found me through my Instagram account and asked if I would be interested in contributing to her new blog. Erin Kennedy is the owner of My Cooking Spot – When Girl Meets Kitchen. A website dedicated to recipes, tips, cooking 101 with lots of information about food and cooking. Whether you’re new to the kitchen or have been cooking for years, My Cooking Spot features all types of recipes for whatever you could be looking for. Also featured is entertaining recipe ideas you may be looking for those special events. From dinner recipes, to healthy cooking and even a cocktail now and then. 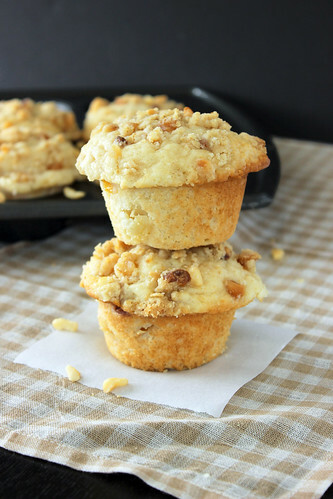 Today I am sharing these Peach Macadamia Nut muffins over at My Cooking Spot. Since developing my master muffin mix, I have become somewhat obsessed with coming up with new muffin recipes with all the fresh fruits that is in season right now. So I took it upon myself to create a peach muffin so packed with flavor that you will have to make another batch as soon as you eat your way through this one. Over the next few months, I will be sharing some recipes at My Cooking Spot. 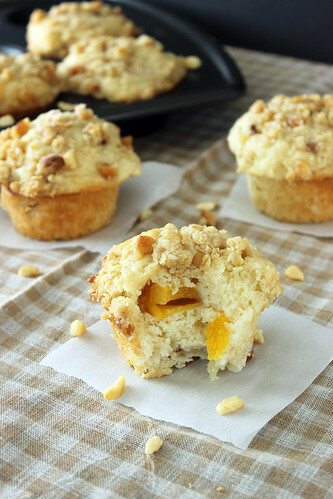 Head over there to get the recipe for these Peach Macadamia Nut Muffins. 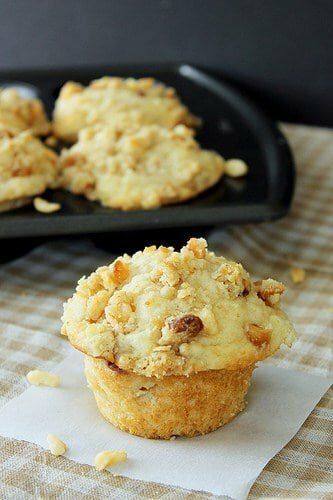 These muffins are stuffed with peaches and macadamia nuts and topped with a brown sugar macadamia nut crumble. You don’t want to miss these. I have scanned the link to frustrating giving up it should not be this hard. Hi Susan, I am sorry you are having trouble. There are 2 links within this post that link to the recipe. So that you know for the next time, words that are the light pink color are the links.